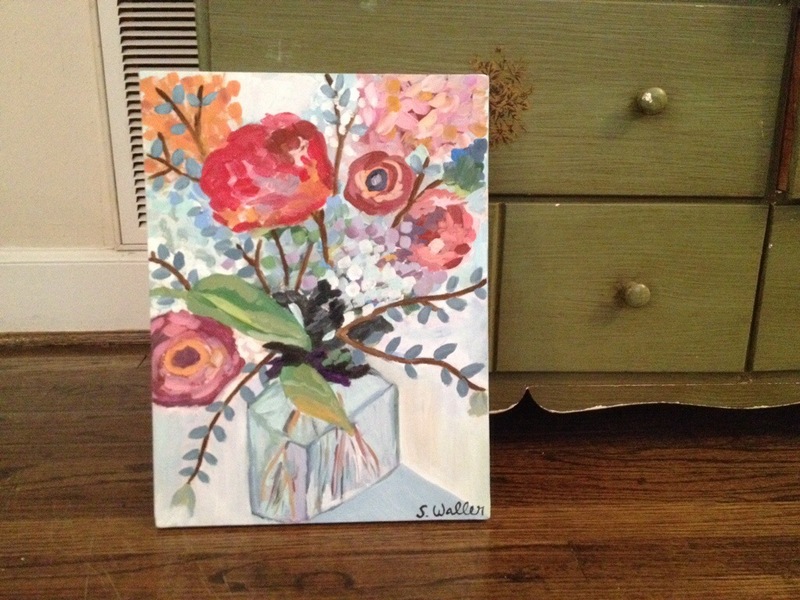 Some weekends, you just need to take time to paint. And for this particular paint session, I continued my study of Erin Gregory. 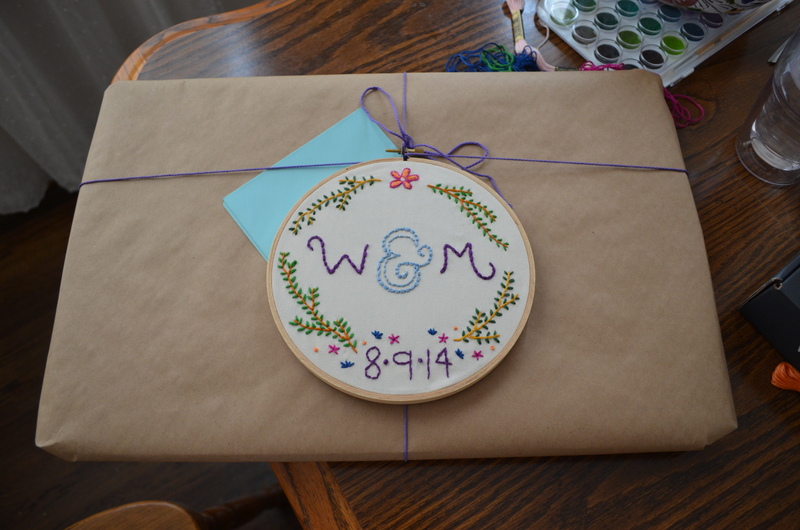 I love, love, love this idea for a wedding shower gift. (So much that this my second time to use the idea.) 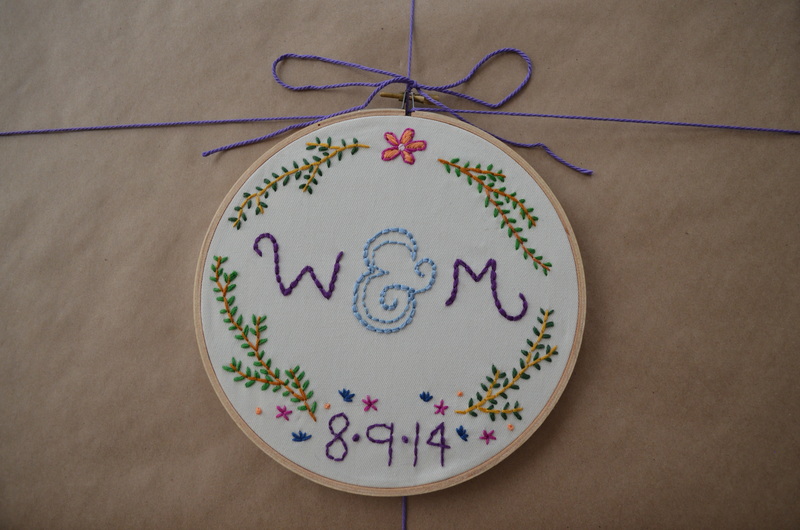 An embroidery hoop with the couple’s names or initials along with the date of the big day creates a personal (and colorful) gift. And I like to think that if I give it to the bride at a shower, she might use it to decorate her reception. 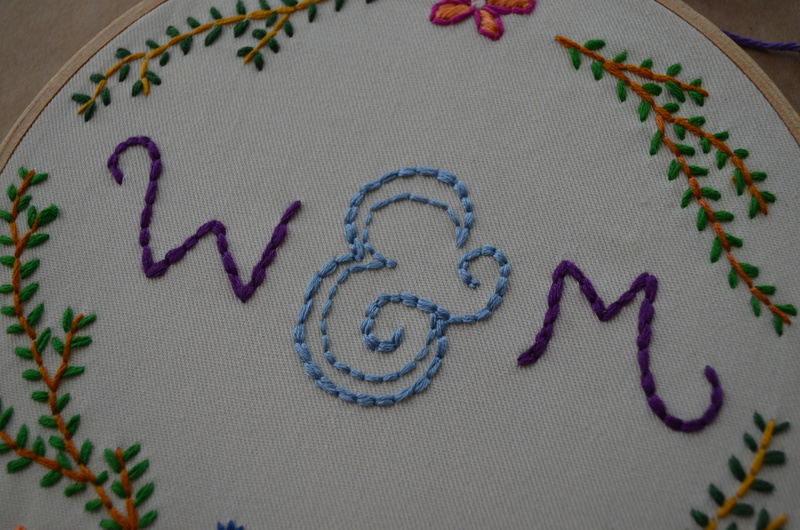 I kind-of lucked out with the initials of the bride and groom. I debated for a few hours if I should use their names (Wes & Meg), but I finally settled on use their initials. I’m obsessed with the symmetry. A image on Pinterest inspired me to try the branches, and I think it turned out great. 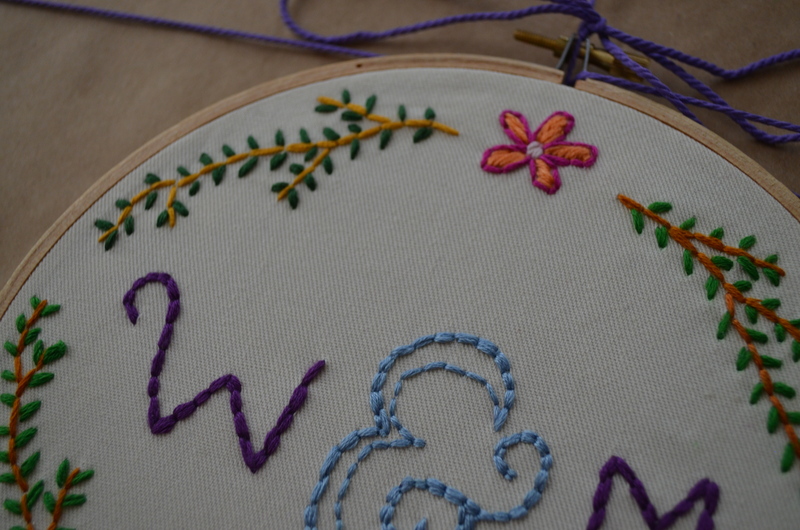 I had very little of the brown thread, so I decided to have two different branches: one with brown thread and medium green leaves and the other with golden yellow thread and dark green leaves. Finally – the all important wedding date! 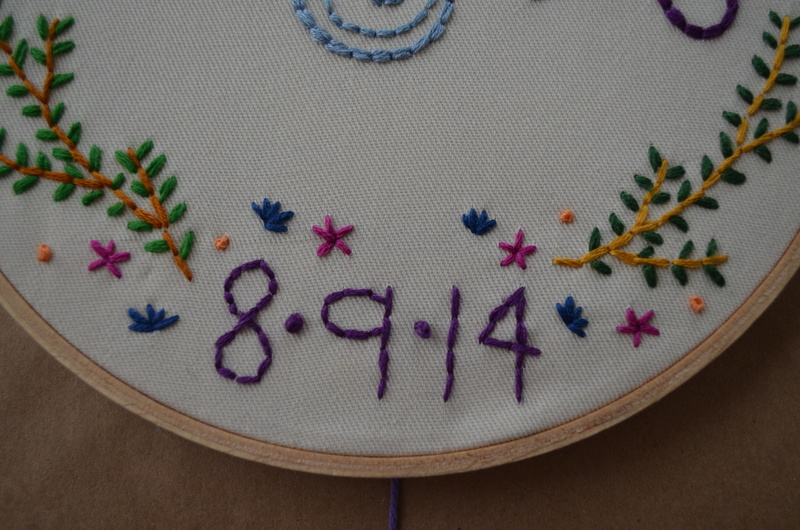 I used French knots to separate the numbers. 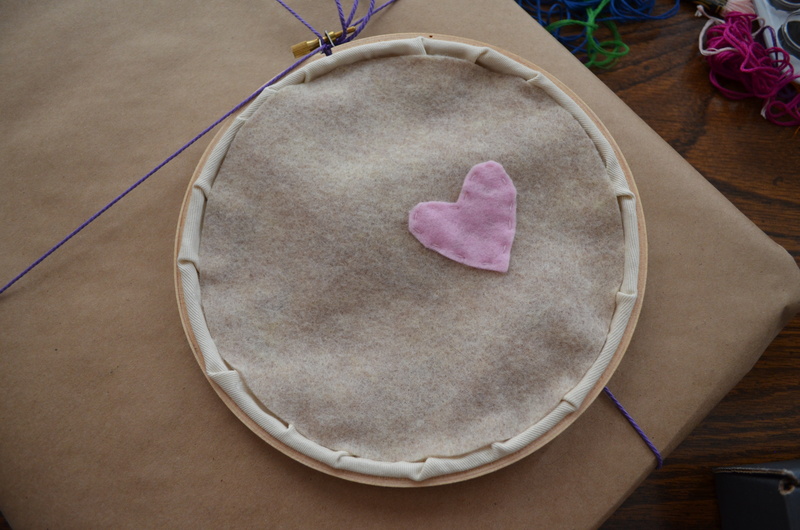 To hide the backside of the stitches, I hot glued a circle of felt – with a felt heart – to the back. I figure why hide this beautiful creature with wrapping paper, so instead of wrapping the hoop, I decided to use it as a gift tag. By threading the string through clasp, the hoop will stay in place.